The Chewdles Natural Giant Bone from Fold Hill is a high quality rawhide chew which contains only 0.5% fat. This long lasting bone will keep your dog's teeth in better condition by controlling tartar while also freshening breath. 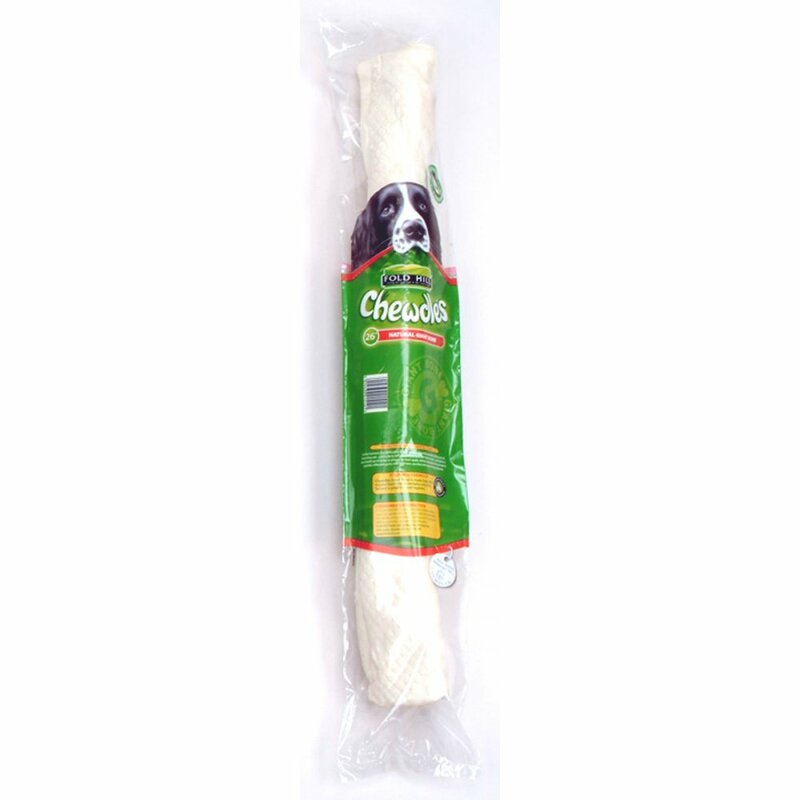 No chemicals or preservatives have been used in this bone which is ideal for the stronger chewer. There are currently no questions for Fold Hill Chewdles Natural Giant Bone Dog Chew - be the first to ask one!